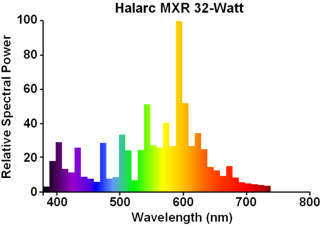 The 32W Halarc lamp was developed by GE in an attempt to bring discharge lighting indoors, as an energy-efficient alternative to incandescent lamps. 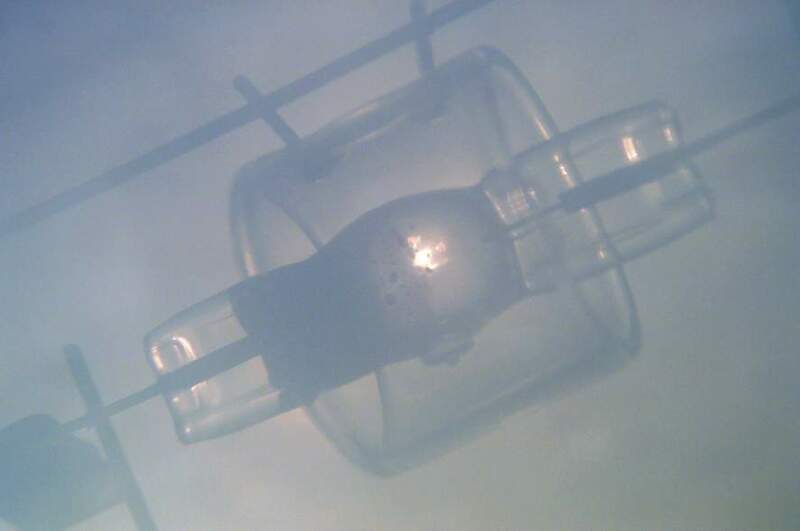 The arc tube was in fact developed as part of the Electronic Halarc project, in which a small metal halide light source was combined with a tungsten ballast filament, and electronic ignitor in the base, intended as a direct retrofit for GLS lamps. GE launched that product on the American market in 1981, but it was not a success and was quickly withdrawn. The very high sale price and technical complexity was a problem, especially in view of the fact that the Europeans developed, at the same time, the first self-ballasted compact fluorescent lamps. 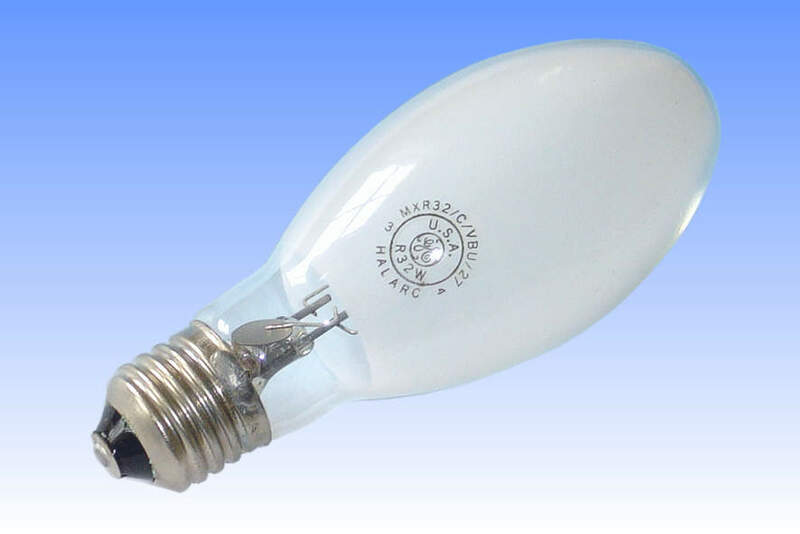 CFLs offered longer lifetime, better colour, higher efficacy, instant re-strike and all for a much lower cost. GE was thus forced to abandon the Electronic Halarc project. It was an unfortunate ending to a technically ambitious and otherwise successful project. However to avoid wasting the tremendous amount of work that went into developing the low wattage arc tube, it was decided to market that alone, without the integrated ballast. The result is the lamp shown here. 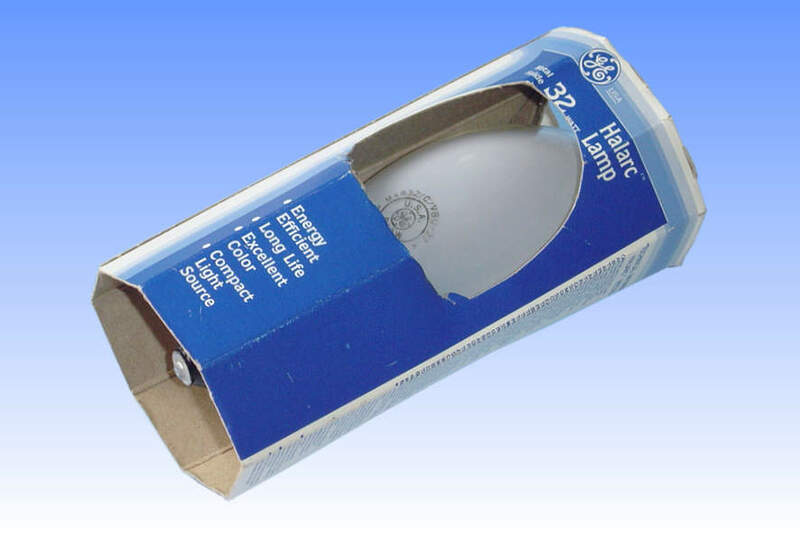 It was intended for use in professional applications to replace 100W incandescent lamps in ceiling downlighters, with only a remote ballast being required. To make the lamp suitable for open fixtures, a small quartz shroud is employed, affixed by a pair of molybdenum wires fused into the quartz. Unfortunately in the USA market where energy-efficiency was not an issue at the time, the lamp enjoyed little success. Following the USA's later energy crisis, the considerably more efficient 35W ceramic types became the general preference. 2) GE Lamp Specification Bulletin 6371-121MV (April 1990). 3) GE-Tungsram UK Price List, 1991.